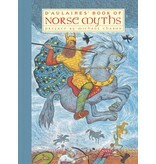 ABOUT D’AULAIRES’ BOOK OF NORSE MYTHS The Caldecott medal-winning d’Aulaires once again captivate their young audience with this beautifully illustrated introduction to Norse legends, telling stories of Odin the All-father, Thor the Thunder-god and the theft of his hammer, Loki the mischievous god of the Jotun Race, and Ragnarokk, the destiny of the gods. Children meet Bragi, the god of poetry, and the famous Valkyrie maidens, among other gods, goddesses, heroes, and giants. 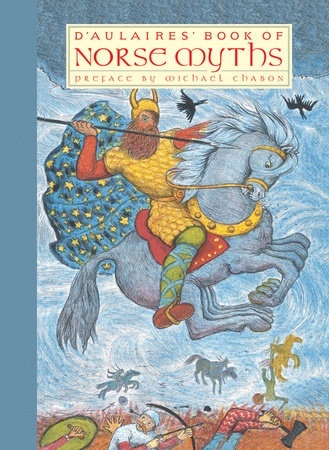 Illustrations throughout depict the wondrous other world of Norse folklore and its fantastical Northern landscape.